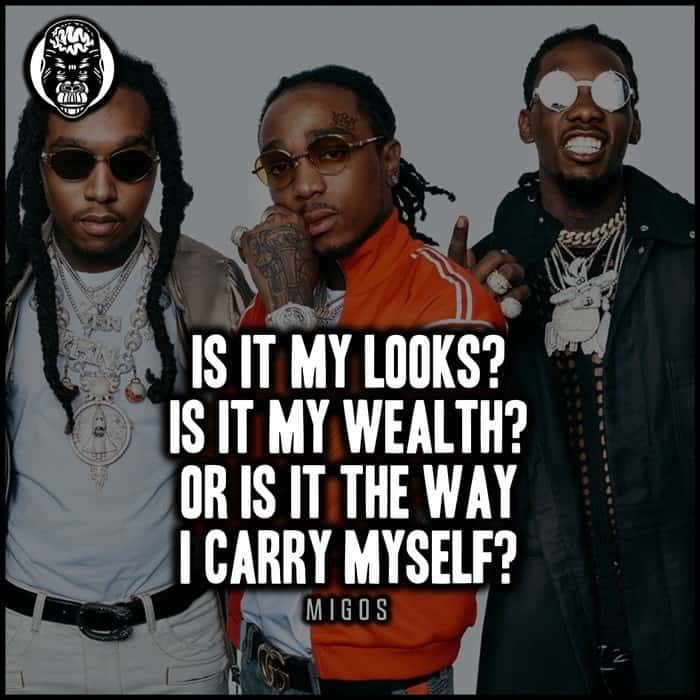 Migos is an American hip hop group from Lawrenceville, Georgia, that was formed in 2009. The group consists of rappers Quavo, Offset and Takeoff. Although they came together almost 9 years ago, the group only started achieving mainstream success in 2017. As a group, Migos’ net worth is roughly $50 million, making their individual net worth estimates just over $16 million each, respectively. Quavious Keyate Marshall, known professionally as Quavo, was born on the 2nd April, 1991, in Athens, Georgia. His mother was a hairdresser, and his father passed away when he was only 4 years old. Quavo is the oldest member of the group, and was raised in Gwinnett County with the other two member of the group. Kiari Kendrell Cephus, known professionally as Offset, was born on the 14th December, 1991, in Lawrenceville, Georgia. Offset is cousins with Quavo, and was raised in Gwinnett County with the other two members of the group. Offset is now married to fellow rapper, Cardi B.
Kirshnik Khari Ball, known professionally as Takeoff, was born on the 18th June, 1994, in Lawrenceville, Georgia. He is the youngest member of Migos, and is Quavo’s nephew. Takeoff was raised in Gwinnett County with the other two member of the group. Migos first began gaining traction after the release of the single “Versace” in 2013. This was 4 years after the group formed, which shows how patient you have to be to see success. Two years later, their single “Bad and Boujee” went viral all over the internet, and set them up for mainstream fame. You’ve probably seen the memes online plastered with the lyrics “rain drop, drop top”, which were performed in the song. The song hit #1 on the US Billboard Hot 100 chart. In the same year, they released their second studio album, Culture, which debuted at #1 on the US Billboard 200 chart. As of 2019, Migos’ net worth is estimated at $50 million dollars, collectively as a group. Migos have achieved great success in the past couple of years, but it wouldn’t have come without all the hard work they’d been putting in before that. No doubt will they be worth more in the next few years to come. As of 2019, Migos’ net worth is $50 million. 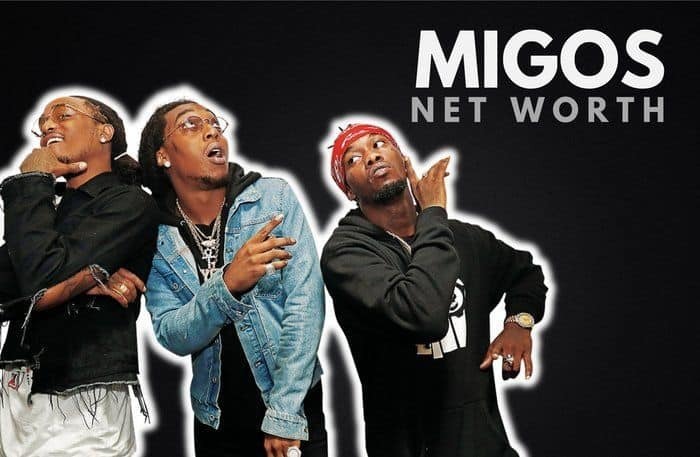 What do you think about Migos’ net worth? Leave a comment below. 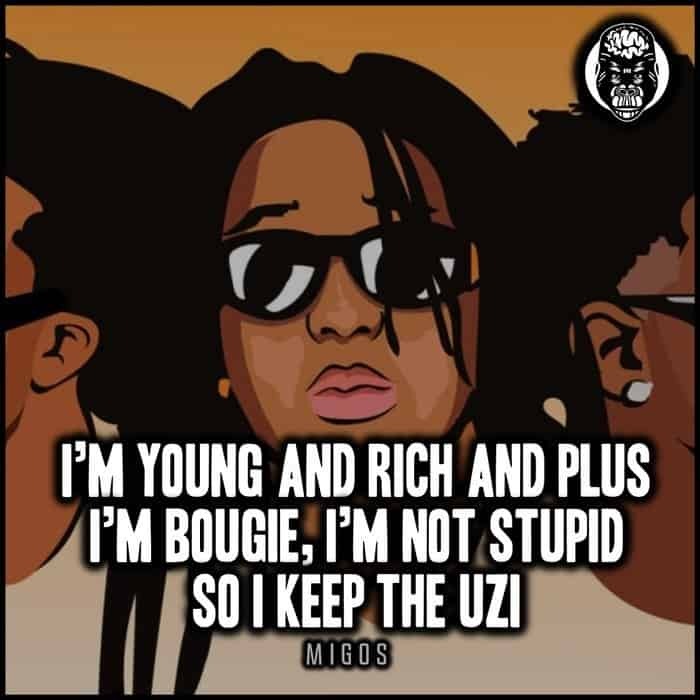 Migos are my best rappers eva i love how the make there make music flow.